is at Branch Gallery in Inglewood, California, through May 6, 2018. California Fibers: Surface and Structure​ features diverse works created by members of California Fibers. All works in the exhibition address the theme of “Surface and Structure” as interpreted by each artist, from imagery and inspiration to materials and processes. is at Sierra Arts Foundation in Reno, Nevada, through September 23, 2018. 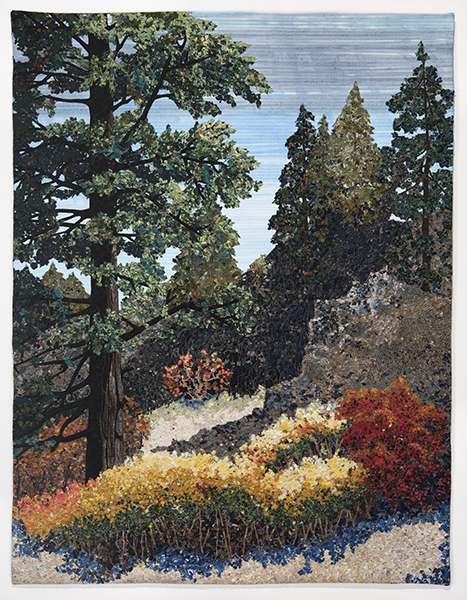 Two textile/fiberartists, Denise Oyama Miller (California) and Nancy Ryan (Nevada), interpret and celebrate the beauty and textures of the Sierra Nevada mountains. You are currently viewing the archives for March, 2018 at Woodhaven Studio's Weblog.